Port Elizabeth of Yore: What Happened to the Rietbok? On Monday 13th March 1967, a Vickers Viscount 818, on a scheduled fight from Port Elizabeth to Johannesburg, via East London and Bloemfontein, crashed into the sea somewhere off Kayser’s Beach, near East London. What train of events was the cause of this crash? Why did twenty passengers and five crew vanish without a trace? 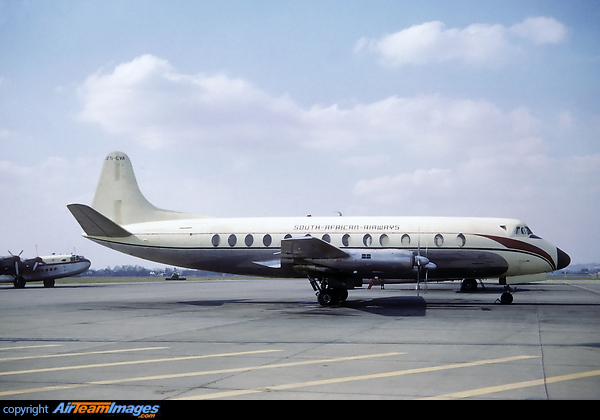 With great fanfare, South Africa Airways had purchased seven 56-seater Vickers Viscounts 813s. The Rietbok, however, was one of four of the 818 model, built for a Cuban airliner, Cubana, in 1958 but purchased from them in 1962. The pilot on this fateful flight was Captain Gordon Benjamin Lipawsky, one of the most decorated South African fighter pilots. Seeing service during WW2, he commanded No. 1 Fighter Squadron in Italy, being awarded the DFC and bar. After the war and with flying still in his blood, Lipawsky joined the Permanent Force being based in Durban in 1948 as the officer in charge of a detachment of Spitfires at Stamford Hill Aerodrome. The Spitfires were attached to No. 35 Squadron, Durban. With their withdrawal from service, “Lippy” joined 35 Squadron and converted to Sunderland Flying Boats. 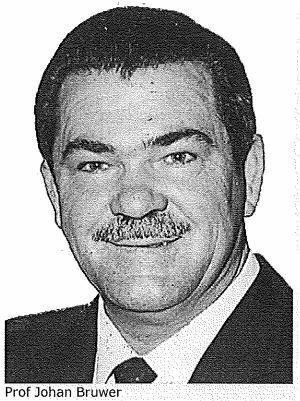 Even though Lipawsky’s co-pilot did not possess the same level of experience, nonetheless Brian Trenworth was also well-qualified having been with SAA since 1953. This Monday would be a day of high drama for Rietbok with two incidents on the flight down from Joburg with the third being the disappearance of the Viscount on the return flight. Even though the first two episodes cannot be linked with its final loss in any way, many fatal crashes have been the culmination of prior stressful events. The first incident occurred immediately after take-off from Jan Smuts when the nose-wheel refused to retract due to a malfunction. The flight was aborted, and the fault was rectified. On arrival at East London at 5:50 pm on the down flight, the weather was poor but could not have been appalling as the aircraft landed without difficulty on runway 28 after an instrument approach. On take-off from East London at 6:15pm, the second event occurred: the Rietbok struck a bird. Lipawsky decided to press on to Port Elizabeth where the plane was inspected thoroughly and passed as serviceable. Like the first event, investigators contend that it had no bearing on the subsequent accident but for other reasons cannot be eliminated from the mix. The Rietbok now became SAA flight number 406 to Joburg with stops at East London and Bloemfontein. As a precautionary measure, Lipawsky opted to take on board 2000lbs of fuel in excess of his requirement in the eventuality that the flight would be compelled to overfly East London. The two passengers embarking at East London were given the option of whether to stay or fly. On being given the options, Mr Max Melmed elected to risk the chance of overflying East London even though Lipawsky rated that option as 90%. If that was the case, he was willing to stay overnight in Joburg. The other passenger was Miss Stella Kietzmann, who would be making her debut flight. Her response contrasted sharply with that of Melmed as she immediately cashed in her ticket and caught the overnight train to East London. On hearing news of the disaster from the stationmaster at Cookhouse, she telephoned her brother in Port Elizabeth to confirm that was safe. Needless to say, Lipawsky took off from the Driftsands Airport not unduly stressed. He had previously landed on numerous occasions at East London airport. Furthermore, he possessed extensive experience of dark and rainy conditions. Moreover, he had experienced similar conditions one hour and forty-five minutes earlier on the down trip except that now on the return flight, it would be dark. The vertical height above the ground is divided into “air lanes.” Much like lanes on the road, they serve to prevent vehicles from crashing. After a normal take-off at 6:42, the Rietbok climbed to Flight Level 90. At 6:46, it reported that it was climbing through 5000 feet and that it estimated that it would reach the NDB – the non-directional radio beacon – at Port Alfred at 6:59. At 6:58, it reported to Port Alfred that its flight level was 90 and that its ETA at East London would be 7:14. The controller at East London testified at the investigation that the weather conditions provided to Lipawsky were 8/8 nimbo stratus cloud at 200 to 300 feet overhead, lowering on the approached to runway 28. At 6:59 the aircraft acknowledged the weather and requested descent clearance from Flight Level 90. Clearance was given and acknowledged. A tape recorder at Port Elizabeth recorded all the radio conversations between Port Elizabeth and the aircraft. Even though East London did not possess a tape recorder, all transmissions between the aircraft and East London were recorded except for the final message as the signal was too faint to record but it could be heard audibly in PE. At 7:07, the aircraft reported “Roger. We will attempt an approach on runway 10.” According to the tower controller, the aircraft was informed that that “runway 10 is out for landing” because of low cloud. Furthermore, he was informed that the lights on runway 10 & on runway 28 had been turned full on, which he acknowledged. At this stage, darkness had already fallen. It was at this point that the final communication was made by Lipawsky. The aircraft reported at 7:09 to East London that it was “at 2000 ft seaward, with the coastline in sight.” One minute later at 7:10, the aircraft struck the sea. Often crucial in collaborating facts regards establishing the veracity of information, eye-witnesses can provide critical evidence. In this case what they did provide was evidence of the approximate area where the plane struck the sea as well as the fact that it had indeed crashed into the sea. Of the witnesses of the last moments of the plane, Mr & Mrs M. Ford of Kayser’s Beach. After supper, Mr Ford had gone outside. Suspecting that something was amiss, he called his wife to join him. What they saw were the final moments of the plane as it was getting lower and lower. They were unable to view the plane as it crashed as a headland obscured their view, but a loud bang confirmed their suspicions that it had indeed struck the sea. They immediately despatched a maid to notify their neighbours to notify the police. 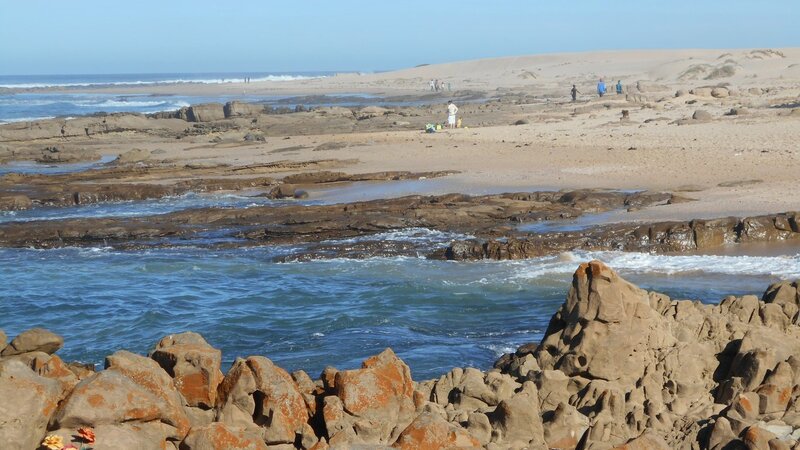 Another eye-witness was farmer two kilometres inland from Kayser’s Beach, Mr Colin du Preez. He watched almost mesmerised as the aircraft sank lower and lower until it disappeared from sight. Simultaneously with the disappearance, they heard a sound “like a thunderclap.” In addition, what he was able to add which was of more importance, was that there were on indicators that the plane was in trouble and that the engines seemed to be operating normally. Survival is not one of the outcomes that one associates with an airplane crash into the sea especially if it is unplanned and at night. 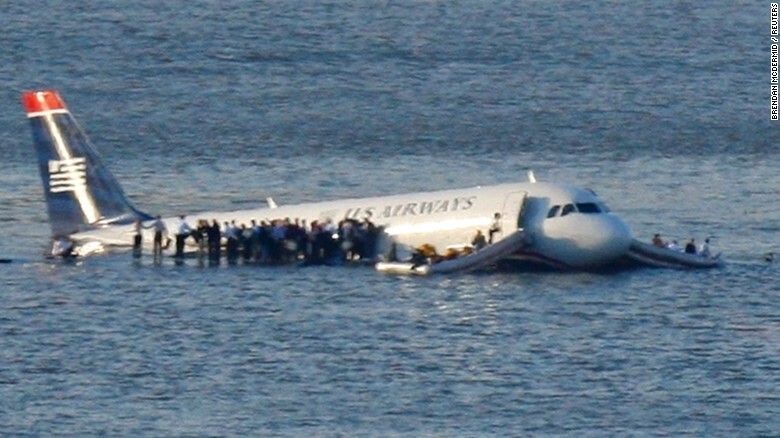 The most successful ditching of a plane must surely be that of US Airways Flight 1549 when an Airbus A320-214 struck a flock of Canadian geese on take-off from LaGuardia Airport in New York on 15th January 2009. Having lost all engine power, the pilot Chester Sullenberger elected to ditch the plane in the Hudson River. All 155 people on board were rescued by nearby boats. Being prepared for ditching, Sullenberger prepared the plane as if it were landing. In this case, the Viscount, probably unprepared, struck the water cockpit down, sinking immediately. As soon as the rescue services became aware of the tragedy, they were galvanised into action. 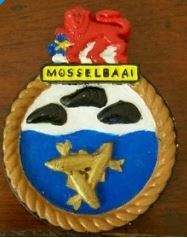 A message was flashed onto the screens of cinemas in East London requesting members of the crew of the minesweeper Mosselbaai to immediately report for duty. Two Navy minesweepers and two harbour tugs sped from the Buffalo Harbour to the search area. These vessels carried doctors to treat any survivors. Six ambulances were despatched to Kayser’s Beach and off-duty nursing staff were requested to report for duty at Frere Hospital. During the night, observers on the beach reported seeing searchlights and flares as the ships scoured the area. As dawn stained the eastern horizon, the news was grim. Conditions in the search area had been appalling with heavy rain and high seas. Aircraft now joined the search efforts and patrolled the search area. Search parties combed the beach north and south of the hamlet. They did find some wreckage, a few pieces of clothing and some mailbags but not what was more vital: survivors. None are ever found. 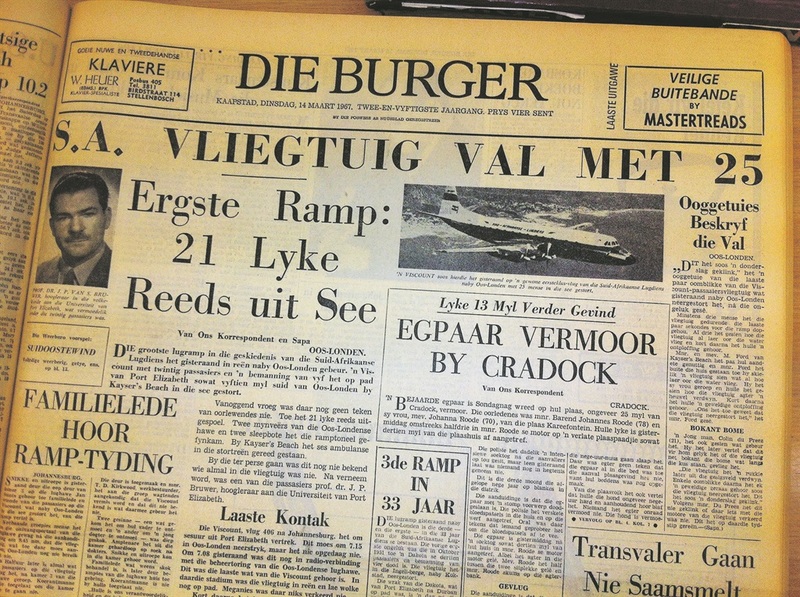 Minimal wreckage from the Rietbok was ever found. Without it sounding too dramatic, the investigation had no evidence to work with. No anguished last-minute radio call was received providing some clue regarding some crisis on board such as a fire or mechanical failure. By all accounts, the plane merely slowly descended, ultimately crashing into the sea. Captain Lipawsky was regarded as a model pilot, with an outstanding ability with a positive emphasis on caution and safety. In practical terms his total flying time was 12,344 hours of which 3,231 hours were on Viscounts. With little wreckage recovered, there was insufficient data available to the Board of Inquiry to make a definitive finding on the cause of the accident. What they were able to do was to exclude certain factors as being inconsistent with the evidence or being remote or improbable. Among these were structural failure, instrument failure, explosion, a fire, a “bad weather” accident or even pilot error. Without any evidence to the contrary, I will venture my own assumption of what probably occurred. I postulate that Captain suffered a heart attack. Slumping forward, he impaired the control of the aircraft. The obvious question that arises is why the co-pilot never notified the control tower at East London airport. The type of microphone utilised in the Viscount was hand-held. In order to transmit, a button on the microphone had to be pressed. I contend that the co-pilot, Brian Trenworth, was too involved to flying the aircraft whilst attempting the remove the comatose pilot from the control and perhaps even attempting to revive Lipawsky. It was a classic case of information overload. Something had to give. If the plane had been at a higher altitude, Trenworth might well have been able to get the situation under control. With Lipawsky possibly even audibly groaning and thrashing around, Trenworth was overwhelmed. Before he was able to deal with all the tasks on hand, the plane dived into the sea. The choppy sea and angle of hitting the water resulted in a total catastrophe, not allowing any passengers to even prepare for the accident. No bodies were ever recovered. If any had survived, even if they had managed to put on their life vests, the low water temperature was a fatal enemy as hyperthermia would rapidly have overcome them. This is possibly another stark reminder, if ever one was required, that flying is never failsafe and that a series of events, which in and of themselves, might not be fatal, might, when combined, result in catastrophe. Even though ostensibly there are no reasons to presume that this crash was a consequence of some deliberate or nefarious attempt to kill a passenger or to destroy this aircraft, yet with the legalisation of the ANC, various conspiracy theories were advanced by members of this liberation movement. If it can be proved, it would be one of the first known “dirty tricks” perpetuated by the Apartheid Regime. During April 1989, reports emerged that the Minister of Transport, Mac Maharaj was coming under pressure from families of the 25 victims to reopen the aviation inquiry. The reasons advanced related to the “assassination” of two passengers. Lending credence to this accusation is what some allege was an extraordinary security clampdown on the crash site off Kayser’s Beach. Furthermore, Authorities have always maintained that neither the wreck, nor any bodies, were found. But new evidence purported that the wreck was indeed found by navy divers, but the discovery was covered up. Among others, former navy diver Malcolm Viviers earlier in 1989 claimed that soon after the disaster, he had seen parts of the plane and passengers strapped in their seats on a video screen aboard the navy minesweeper SAS Johannesburg, anchored above the wreck. 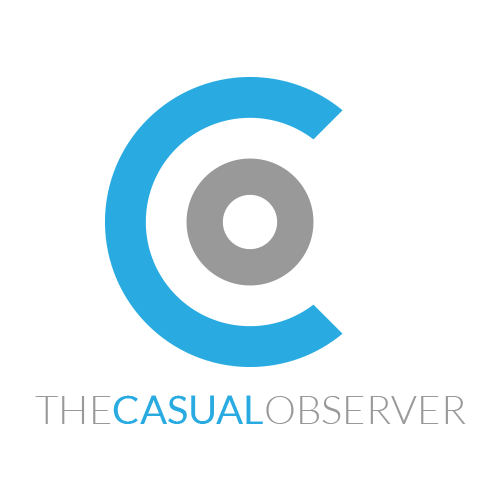 One of the victim’s relatives, Johan Bruwer, commenced a campaign to reopen the inquiry based upon what he alleges happened to his father, JP Bruwer, who was the vice-rector of the University of Port Elizabeth and the acting chair of the then all- powerful Broederbond. Bruwer’s children are adamant that at the time he boarded the Rietbok he was a deeply disillusioned man, had started publicly to denounce apartheid as racial discrimination and told them that he would be killed. He had also started advocating a nascent form of detente with newly independent African states. The other alleged victim was Audrey Rosenthal, an American woman who was working for the banned ANC. Martin Legassick, professor of history at the University of the Western Cape, maintained that he had recruited Rosenthal – whom he described as an “adventurous and lively” postgraduate student to work for the Defence and Aid Fund, a group run by Canon Collins, dean of St Paul’s Cathedral. The group was, at that stage, trying to provide clandestine financial support for members of African National Congress and Pan Africanist Congress families back in South Africa who were struggling as a result of their loved ones being in exile, jail or detention. The fund was supported by both liberation movements. In typical conspiracy theory fashion, disparate events are conflated. In this case they speculate that the news that Rosenthal and Bruwer would be flying on the same plane presented the state with an opportunity to eliminate two opponents in one stroke. Moreover, they further postulate that Rosenthal and Bruwer were going to meet. Perhaps she was to have been a carrier pigeon conveying a message of reconciliation to the liberation movements from one of the most powerful men in Afrikanerdom. The full version of this select reading of the facts makes for interesting reading more as a novel than as a book of non-fiction. One can safely presume that these allegations will remain no more than speculative ruminations in order to find closure by the victim’s families. Spitfire Mk.Vb, AX-F, EP682, N° 1 Sqdn, Castel Benito, Libya was piloted by Lt. Gordon Benjamin “Lippy” Lipawsky during February 1943. He had joined N°1 Squadron on the 21st January 1943, and three weeks later he had a serious accident in AX-F. On the 8th February 1943, the squadron moved from Wadi Sirru, to their new base at Castel Benito. The landing ground at Castel Benito was some 16 miles to the South of the coastal town of Tripoli, and with numerous ships in the harbour and another Allied convoy approaching Tripoli, the squadron was tasked to fly standing patrols in defence of the town and shipping. The Spitfires of N°1 Squadron (SAAF), were to provide top cover to the Hurricanes of N°274 Squadron (RAF). These patrols were flown at 10,000ft, some 10 miles seaward to the North of Tripoli harbour. The harbour and its shipping was thought to be a likely and tempting target for Axis aircraft. This proved true, when during the night of the 9th February, RAF Beaufighters shot down two German Heinkel bombers some 10 miles from the harbour. On the 11th February, these top cover sorties, comprising two Spitfires, took off in ever deteriorating weather conditions at 08:20, 09:25, 10:30, 11:35, and 12:25. There was 7/10 cloud from 5,000 to 9,000 ft, which at times also obscured the Hurricanes below from being observed. The wind had also gradually increased to almost gale force strength. At 13:35, Lt. Lipawsky and Lt. Fouche were ready to take-off to relieve the pilots from the last two sorties which had taken off at 12:25. During the take-off run, before reaching flying speed, “Lippy” struck one of the many bumps on the landing ground. The strong wind carried the aircraft off to the left of the runway, where he crashed into a stationary Kittyhawk III belonging to N°250 sqdn (RAF). The Spitfire spun around before it went over onto its back and started to burn. Thankfully the fire died as soon as it started, and some nearby pilots were able to extract “Lippy” from the wrecked aircraft. He had banged his head during the impact, had some teeth knocked out and had also suffered a broken jaw. Both the Kittyhawk III (FR359) and the Spitfire Mk.Vb (EP682), were classified as Cat.III and written off. 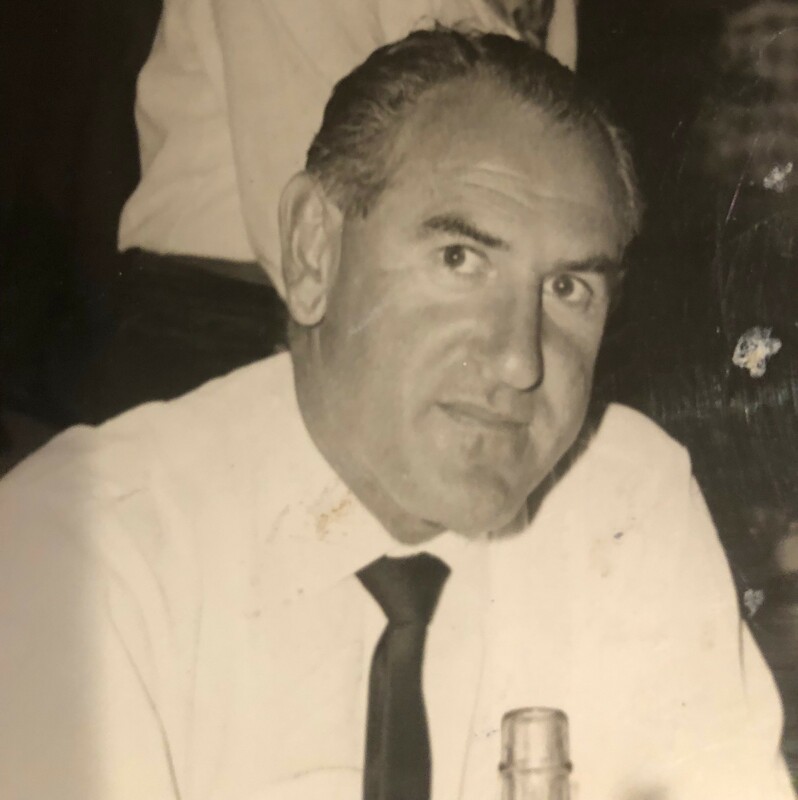 After a considerable time in hospital, “Lippy” Lipawsky returned to the squadron almost five months later, when he joined them at Luqa in Malta on the 8th July 1943.